Mt Hagen born Amelia Kuk has been included in the Oil Search PNG Orchids squad that was announced yesterday. The 24-year-old debuted for the Australian Jillaroos in last month’s curtain raiser to the PNG PM’s XIII and Australian PM’s XIII match against the PNG Orchids in Port Moresby. She unfortunately missed out on selection into the Australian team for the Women’s Rugby League World Cup. “We contacted her and she was over the moon to join the PNG Orchids. She was here last month and got on well with the PNG Orchids so she will not be new to the players. Her inclusion brings that experience to our side,” said Orchids coach, Dennis Miall. “I am proud to represent my country and look forward to joining the camp next week,” said Kuk. Kuk joins fellow Queenslander Jazmyn Taumafai as the two overseas players in the PNG side. “This is the first time our women rugby league team will participate in a World Cup event and we wish them all the best as they represent PNG. We are grateful for the support from Oil Search Ltd who are the inaugural partners to this national side,” said Chairman of the PNGRFL, Sandis Tsaka. 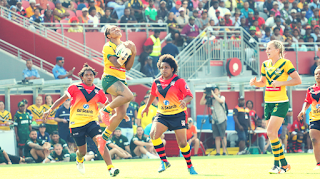 Managing Director of Oil Search, Peter Botten, said: “Oil Search as a proud PNG company is pleased to be associated with the Orchids as they participate in the Women’s Rugby League World Cup for the first time. “The matches will be played in Sydney and we will give every support to the team whilst they are in Sydney. Coming off a win in Innisfail last weekend, their first game away in Australia shows that the women are ready to take on the world. “We will be right behind them all the way,” said Botten. 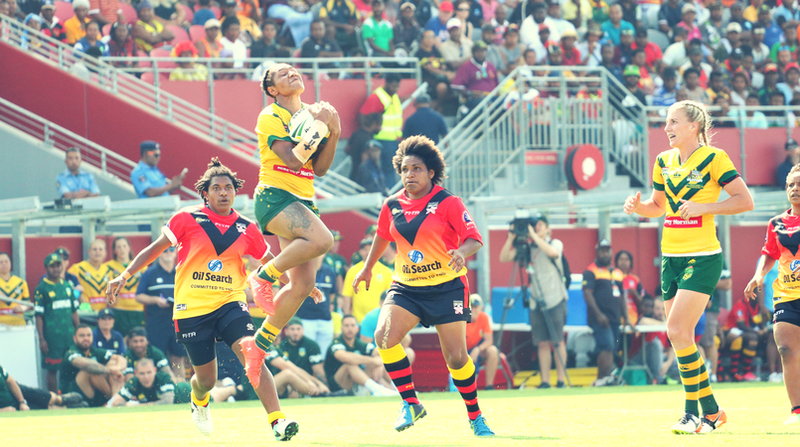 The squad will assemble in Port Moresby next week to prepare for the Women’s Rugby League World Cup, which kicks off in Sydney on November 16, 2017.